to the end of the word...: London Incognita : The Eden Book Society presents D.A. Northwood's "Judderman"
London Incognita : The Eden Book Society presents D.A. 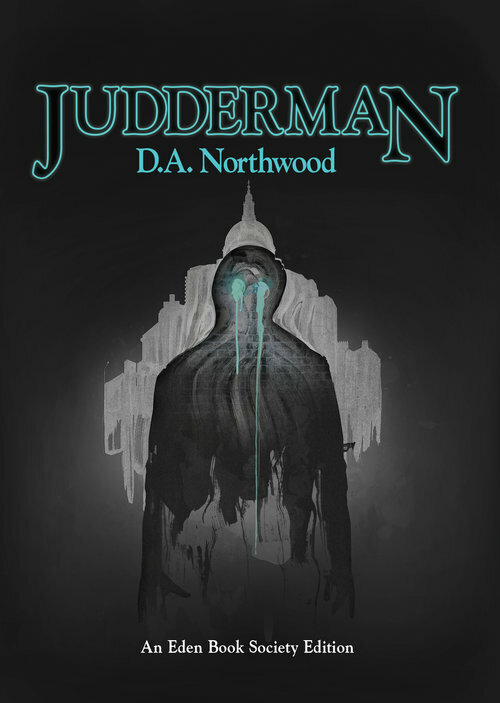 Northwood's "Judderman"
Judderman is the second book in the "Eden Book Society" series published by Dead Ink Press. I was toying with the idea of playing along with the meta-fictional premise of the series and providing a biography of its author D.A Northwood, the obscure writer who “disappeared from his Tottenham flat in 1981, at the age of 38”. Frankly, however, I think it does greater justice to the project to actually explain the 'conceit' which underpins it. Here it is, in brief. The (fictional) "Eden Book Society" was set up in 1919, publishing horror novellas for a private list of subscribers. Eden books were elusive things - written under a pseudonym, available only to a select few, occasionally turning up in jumble sales or unexpected locations. Dead Ink Press, the publishing house behind this literary experiment, purportedly acquired the back catalogue of the Society, and will reprint the novellas sequentially, starting from 1972. In actual fact, the books are penned by a group of specially commissioned writers. 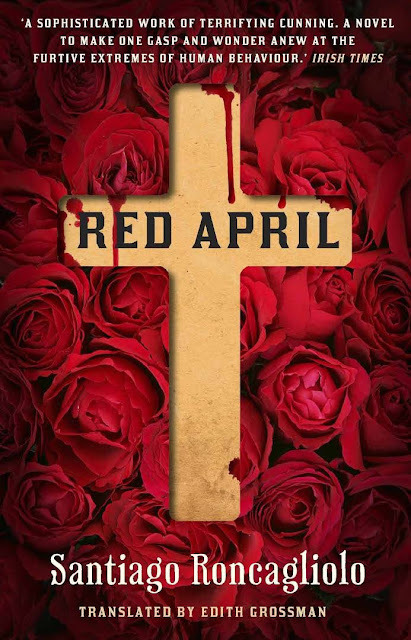 The list sounds like a roll-call of leading contemporary British horror writers: Andrew Michael Hurley, Alison Moore, Aliya Whiteley, Jenn Ashworth and Richard V Hirst, Sam Mills, Gary Budden. The brilliance of this project lies in the fact that the very concept behind it creates an aura of mystery and suspense. And then there's that meta-literary playfulness which is typical of classic Gothic. With the novels purportedly originally issued in 1972, the authors have to succeed in an ambitious double-act : evoking the style of 70s horror whilst taking us back to the atmosphere of that decade. It's a sort of historical scary fiction. Where Holt House, the first instalment in the series, combined folk and existential horror, Judderman falls squarely within the "urban weird" genre and, more specifically, the sub-category of London Gothic. The story revolves around brothers Gary and Daniel Eider, who are trying to catalogue a 'peripheral' city, one rich in urban myth and esoterism, a shadowy place they refer to as "London Incognita". Amongst the dying embers of a decadent society, a new ghoul-like figure is sighted. It's the Judderman, a malevolent figure which seems to be made out of the evil which is gripping the city. Daniel follows this monster into oblivion. He goes missing, leaving Gary to roam in London’s occult underworld in a bid to solve the mystery of his brother's disappearance. My first impression upon reading the novella (most appropriately, on a flight to London), was that this could have been a joint effort of Peter Ackroyd and Iain Sinclair, after a night smoking marijuana and listening to early Pink Floyd. "Judderman" is, like the work of these authors, strongly rooted in 'psychogeography', the quasi-mystical idea that urban spaces hold and summon a collective historical memory. Indeed, Daniel and Gary's feverish visions often involve images of old, ancient and even prehistoric London. Interestingly, the novella manages to combine the very real horrors which gripped the 70s (unemployment, drugs, racial and sectarian violence, IRA bombings) with imagined ones stemming from urban myth (such as monsters living in unused Underground stations) - a hellish marriage of London Cognita and Incognita. And to add more flavour to the meta-mix, there are extracts from lost diaries, stories within stories, quotes from fictional authors. If I had to choose an album to accompany the novella, it would be Portishead’s self-titled album. Yes, yes, I know that the band’s brand of trip-hop is primarily associated with Bristol, not London. Yet, there’s so much about Portishead which reminds me of this novel. When issued in 1997, critics noted its “Gothic” and “deadly” atmosphere and the very clear influence of 60s and 70s soundtracks. And then there are the meta-fictional games : the album’s liner notes refer to samples taken from songs by other bands – in actual fact, most of the samples on the album were created by Portishead and credited to imaginary/invented artists. For a feel of this “urban Gothic” sound, check out the video of “Only You” with the dark visuals of Chris Cunningham.